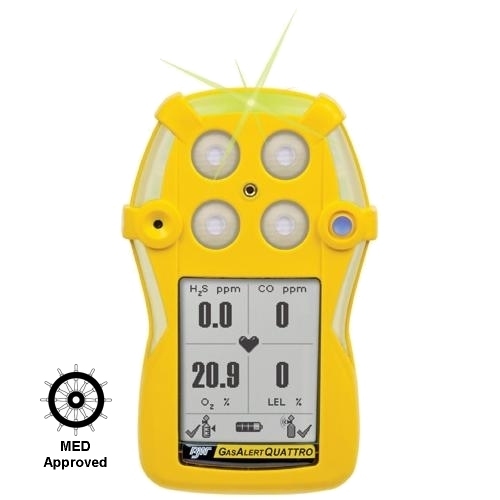 The BW Technologies GasAlertQuattro combines a comprehensive range of features with simple one-button operation and straightforward user interface to minimize training time. Flexible power options with extended battery runtimes for longer shifts, ensures GasAlertQuattro is always ready to use. The large and intuitive LCD display gives an immediate indication to any safety situation. IntelliFlash, a green LED that constantly flashes during normal operation, provides continuous visual confirmation of detector operation. The GasAlertQuattro features the field-proven Surecell Sensors with the Reflex™ Sensor Technology the implementation of which ensures accuracy and reliability in adverse operating conditions. 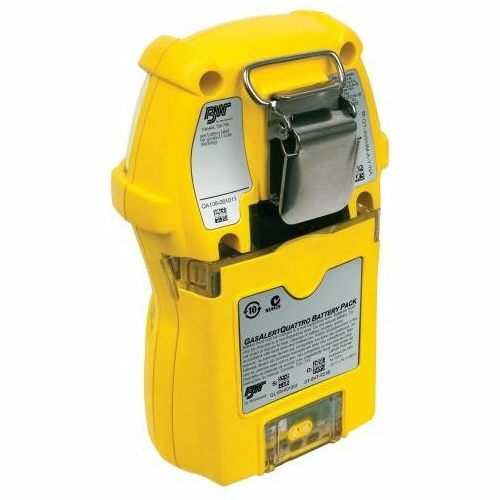 Simple, durable and reliable, the GasAlertQuattro offers exceptional value and protection with low cost of ownership. The Detector is fully compatible with the MicroDock II automatic test and calibration system.